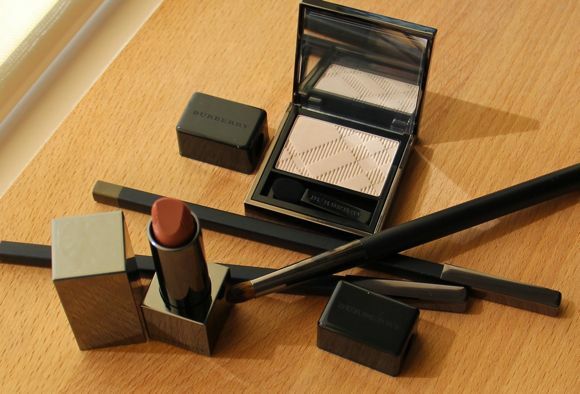 As of right now Burberry is offering a great deal at select David Jones locations (check your local counter -- not sure if this is exclusive to Australia ATM); the makeup artist advised me Melbourne CBD only received 20 gifts and also stated, "first in, best dressed!" 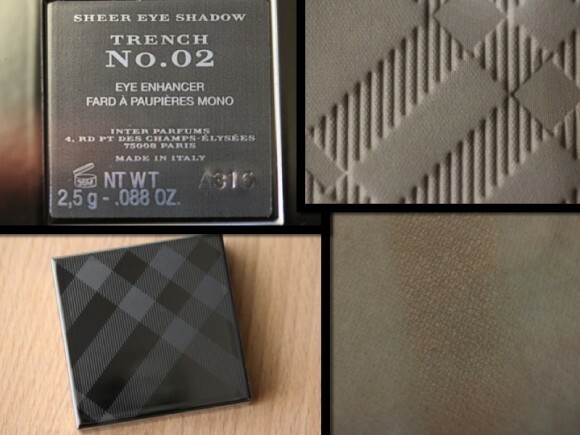 All you have to do is plunk down moolah for two full price items (not an easy ask for such an expensive makeup brand) and it can be anything from their range; I tried to keep my spending in-check, therefore I opted to go with a great staple eyeshadow, Trench No. 2 and a versatile lip pencil in Sepia No. 3. Each gift with purchase comes with a full-size Lip Mist in Copper No. 202, an Eye Definer in Midnight Ash No. 3 and Definition Liner No. 10 (an eyeshadow brush). Under normal circumstances I wouldn't purchase any of these items, but I suddenly felt the urge to be taken out of my comfort zone. You know the saying, "don't judge a book by it's cover?" Well, some of the colours aren't at all what they appear to be and that's a good thing! Midnight Ash No.3 looks like it might be a soft grey, but in actuality it's a dark shade of chartreuse with specks of gold glitter. Colour me surprised! 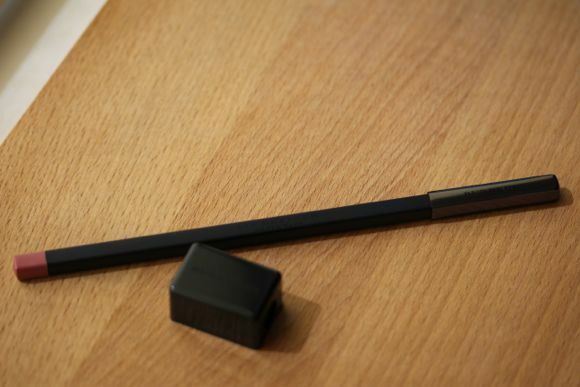 The only negative thing about Midnight Ash was the tip of the pencil crumbled when it was fully sharpened; it's probably best to work with it when it's slightly dull and then refine or blend the colour post-application. Lip Definer in Sepia No. 3 is a magical thing, really. On its own, it's a delightful shade similar to shiraz. However, when you layer colours atop it, prepare yourself for something that's transformative, long-lasting and effortless. The artist who helped me also educated me about Burberry's Spring 2013 look; to achieve the matte lip look, first apply Sepia No. 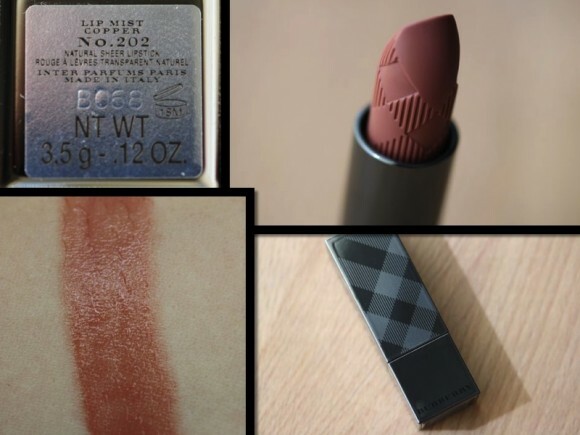 3, then add a layer of red lipstick (I used Giorgio Armani's 400); last, set the colours with translucent powder. Don't feel like spending $42.00 AUS *ouch* for a lip pencil? MAC's Subculture, albeit a browner version, should work quite well. Honourable mention goes out to the rest of my purchase. Trench No. 2 is a classic cream eyeshadow I had made up mind about eons ago, this time I officially bit the bullet and I'm so glad I did. Copper No. 202 is a colour I'm looking forward to wearing solo or layering over Sepia No.3?! Finally, the eye brush, for me, was gravy. I love a good brush with soft bristles; it's definitely fit for purpose! In the end I spent a total of $88.00 AUS and walked away with three additional items valued at $146.00 AUS gratis. So what do you think? Are you a fan of Gift with Purchase events or do you think they are a scheme to get you to buy things you don't necessarily want or need?